Most amateur painters know the basics of applying paint to most surfaces. However, when it comes to painting shiny metallic objects, many do-it-yourselfers are at a loss. Because they are hard and slick, metallic surfaces aren't ideal for paint adhesion. More often than not, paint tends to peel and chip from these types of surfaces over time. If you plan to paint shiny metallic objects, you need to know the proper preparation techniques that are critical to promoting a long-lasting, attractive finish. Dampen a rag with mineral spirits. Wipe down the shiny metallic objects with the moist rag. Allow 10 minutes for the mineral spirits to evaporate before continuing. 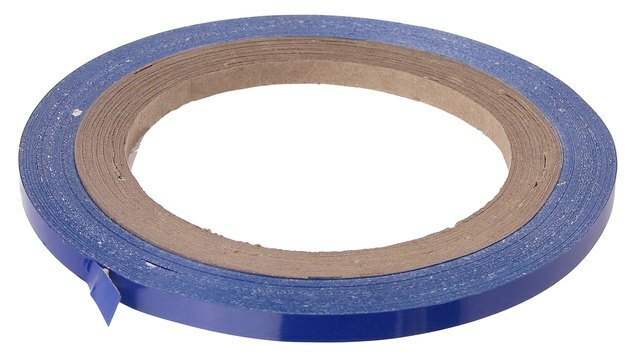 Cover any areas you do not want painted with blue painter's tape. Apply the etching compound to the shiny metallic objects using the 3- to 4-inch paintbrush. Be careful to smooth any runs or drips. Allow two hours for the etching primer to dry. Clean the 3- to 4-inch paintbrush using mineral spirits. Use your fingers to massage the mineral spirits deep into the bristles of the brush. Repeat step six two more times to ensure that all of the primer is cleaned from the paintbrush. Repeat step four except use paint instead of primer.